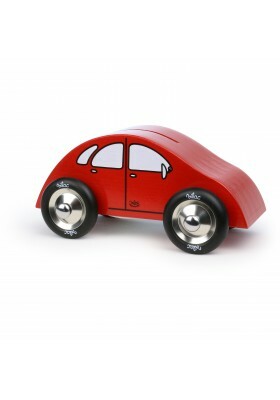 With this beautiful 2CV-shaped red money box in lacquered wood, your child can save for a rainy day! Made in France. 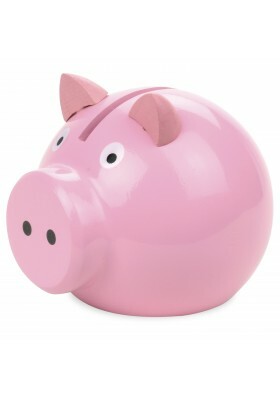 With this beautiful pink money box in lacquered wood shaped like a pig, your child can save for a rainy day! Made in France. 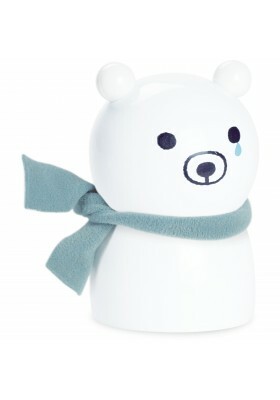 Pretty Teddy Bear Money Box designed by Shinzi Katoh. Made in France. 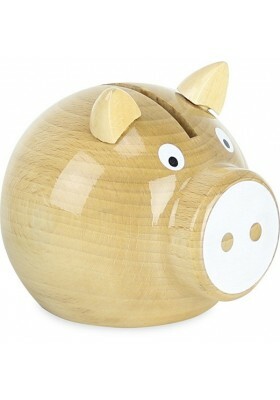 Piggy Bank in solid wood. Varnished natural wood and pink paint. 100% Made in France. 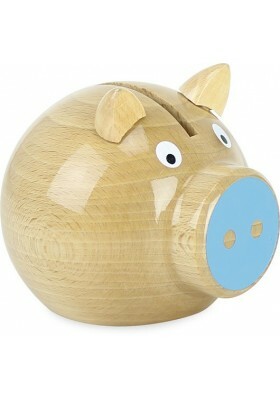 Piggy Bank in solid wood. Varnished natural wood and blue paint. 100% Made in France. 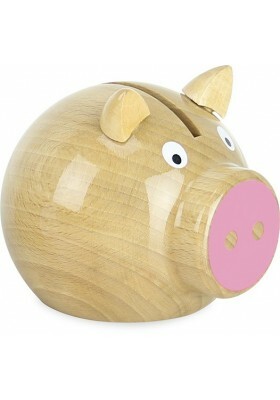 Piggy Bank in solid wood. Varnished natural wood and white paint. 100% Made in France.